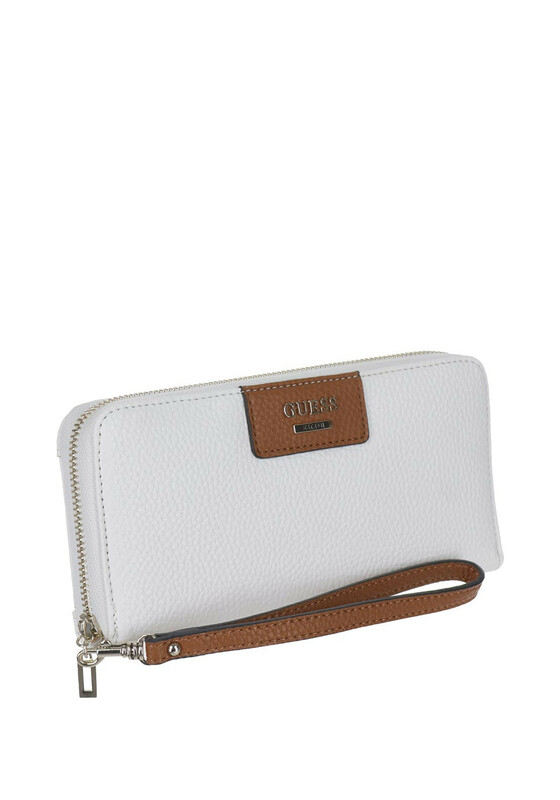 In cream with contrasting tan features on the detachable wristlet strap and Guess hardware, the Bobbi zip around purse is designed to match the range of reversible Bobbi tote bags and are so stylish for ladies of all ages. 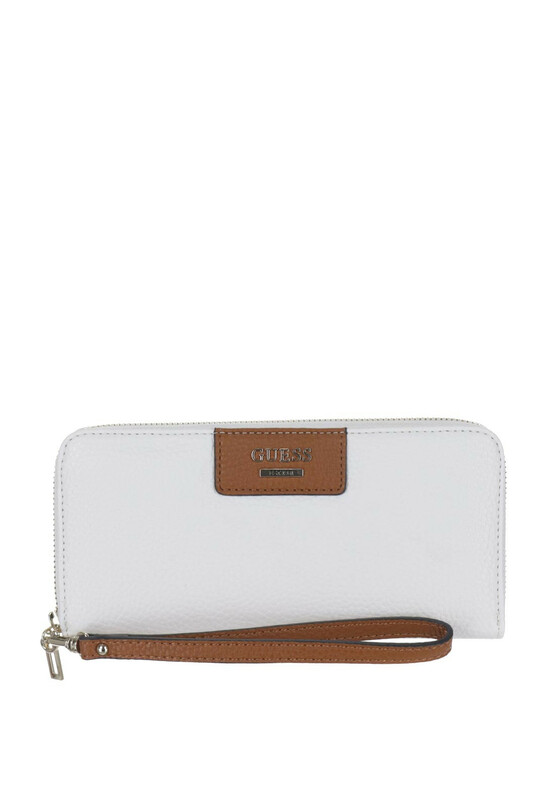 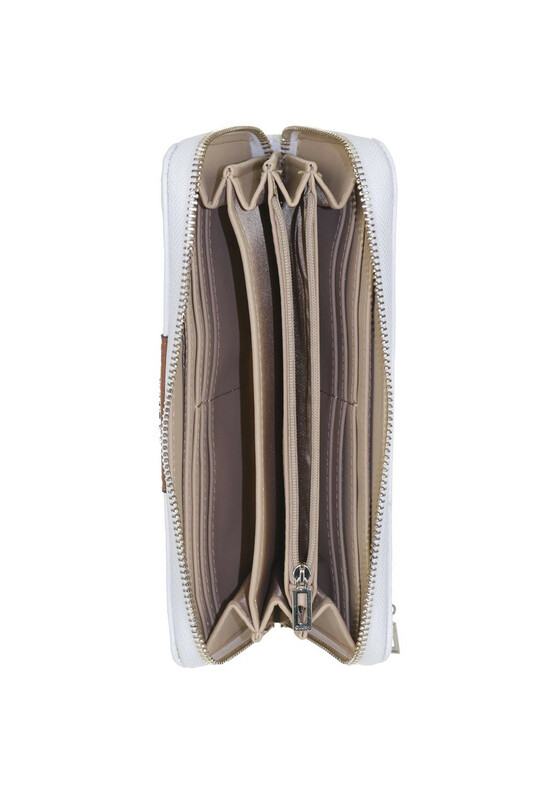 This organizer has a spacious inside which can hold your phone, or lipstick and has tons of card slots and a zipped coin compartment. 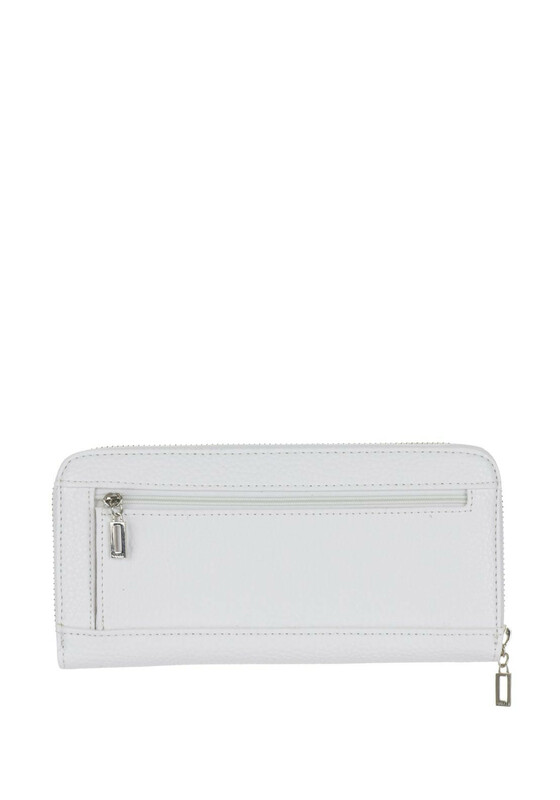 Practical and chic.